Premier Technical Services Group PLC (PTSG) has been recognised in the most prestigious global awards for commitment to good workplace health and safety management. 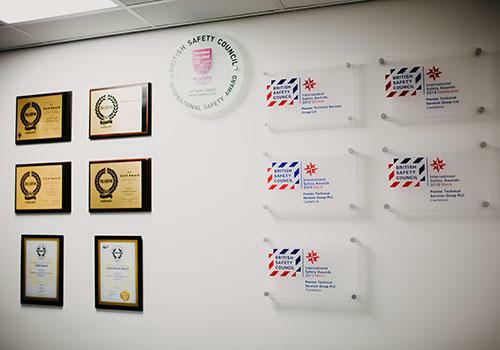 For the seventh year running, the UK’s leading niche specialist service provider will receive an International Safety Award from the British Safety Council for its ongoing commitment to safety in the workplace. A total of 623 applications were received for the 2018 awards, which are independently marked by health and safety experts. The review and scoring of applications is particularly robust and PTSG scored highly to achieve the award with Merit. PTSG’s Chief Executive Paul Teasdale, said: “We are delighted to have received this award for the seventh year running. 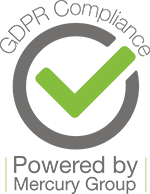 We continue to be an industry-leading, safety-focused company that continually reviews our processes and procedures. The PTSG team can now look forward to attending the 60th International Safety Awards Gala Dinner on Friday 27 April at London’s Grosvenor House Hotel. This black-tie event is one of the most prestigious dates in the health and safety calendar and will be hosted by priest, BBC Radio 4 presenter and former Strictly contestant, Reverend Richard Coles. Individual award winners in four special categories will also be announced at the Gala Dinner. 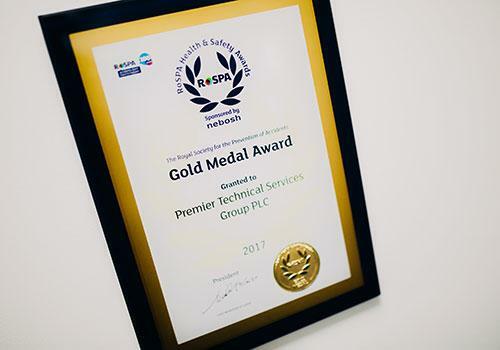 In 2017, PTSG was awarded a RoSPA Gold Medal for the organisation’s health, safety and well-being work and its consistently strong track record.